"The knowledge of true malware research procedure and application attack methodology being demonstrated in that room was remarkable," stated Alexander Heid. HackMiami, the information security consultancy originating from South Florida, began Q1-2014 aggressively by expanding operations to two of the worlds most active hubs for emerging start-up organizations. The goal of expansion is to provide open source frameworks of intelligence sharing and cross training to the global white hat hacking community, while at the same time building physical social networks that result in various cross border collaborative opportunities. The collaborative model has thus far proven effective through HackMiami, as coverage of the first HackMiami Hackers Conference ended up on the cover of RollingStone.com in the article entitled "Geeks on the Frontlines." This sudden mainstream exposure created a global interest in HackMiami, the %27 brand, and related services. This has resulted in several board members dedicating themselves to HackMiami engagements on a full time basis and expanding the enterprise. HackGotham held its first meeting in January 2014 at a shared space located in the heart of 'Silicon Alley' in Manhattan, New York City. Silicon Alley is an emerging area of Manhattan hosting some of the fastest growing and game changing Internet startups, such as the virtual services ISP DigitalOcean. The first HackGotham meeting was titled 'Hacking Botnets 101,' and was hosted by Alexander Heid, co-founder of HackMiami, HackGotham, and HackAmsterdam. The session examined a collection of leaked crimekits with the goal of identifying and documenting communication protocols, web application vulnerabilities, SQL database dumps, and exploits used during drive-by attack scenarios. Participants included some of the top researchers and engineers from the Northeastern US, indicating unofficial represention from an array of major information security firms. HackGotham was co-founded by both Alexander Heid and Aleksandr Yampolskiy of CTOThoughts.com. "The knowledge of true malware research procedure and application attack methodology being demonstrated in that room was remarkable," stated Alexander Heid. The goal of the gathering to was to become familiar with modern day crime kits, signatures created by various attack methods, and the evolving layout of the digital crime ecosystem. With this intelligence, white hat researchers are able to develop mitigation strategies that enable both engineers and executives the ability to understand concepts that will reduce internal attack surfaces. For those who are unable to attend the regularly scheduled meetings or annual conference in the United States, a collective of HackMiami board members and hackers in Amsterdam formed HackAmsterdam, which hosts quarterly gatherings in the Netherlands. 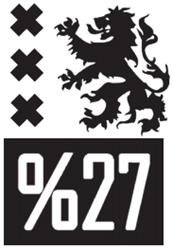 HackAmsterdam will hold their first public gathering on Wenesday February 12, 2013 on Princengracht near Leidsplein at 17:00. Space to the event is limited, access is free as everything discussed is open source, and attendees are required to RSVP via http://www.xakep.nl in order to receive an e-mail with the exact address on Prinsengracht. HackMiami is the premier start-up incubator and partnership resource in South Florida for information security services such as vulnerability analysis, penetration testing, digital forensics, and on-site training. HackMiami hosts the annual HackMiami Hackers Conference in Miami Beach, FL. The 2014 international conference will be held May 9 - 11, 2014. HackMiami seeks to develop and harness the participation of the global information security community through regular events, presentations, labs and competitions. These events allow the hacker community a forum to present their research, develop new techniques and methodologies, and at the same time provides a valuable networking resource for contracting opportunities.